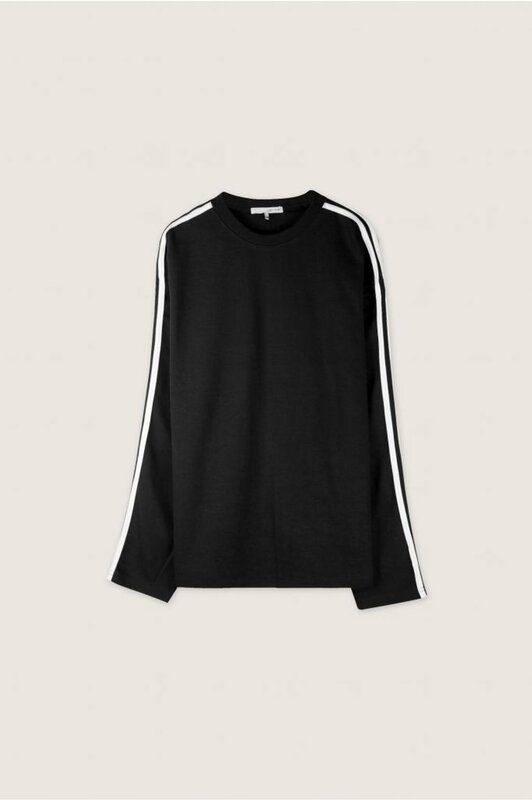 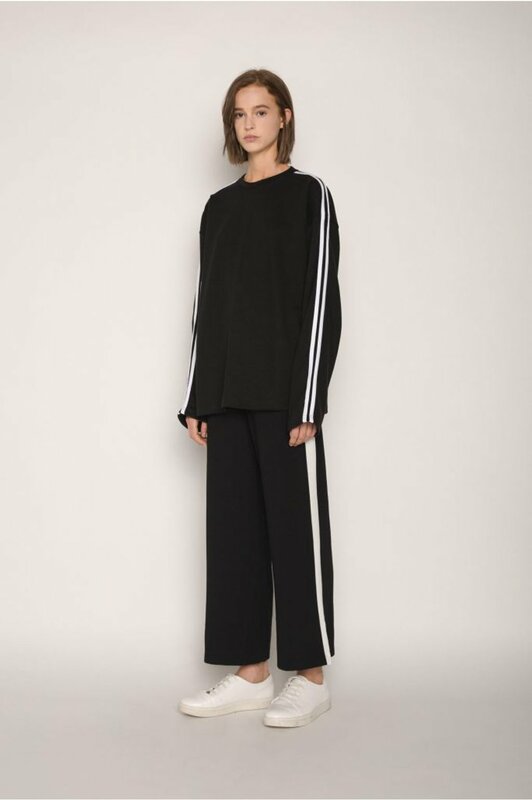 Made from a mid-weight cotton, this sportswear inspired long sleeve tee is as cozy as it is stylish. 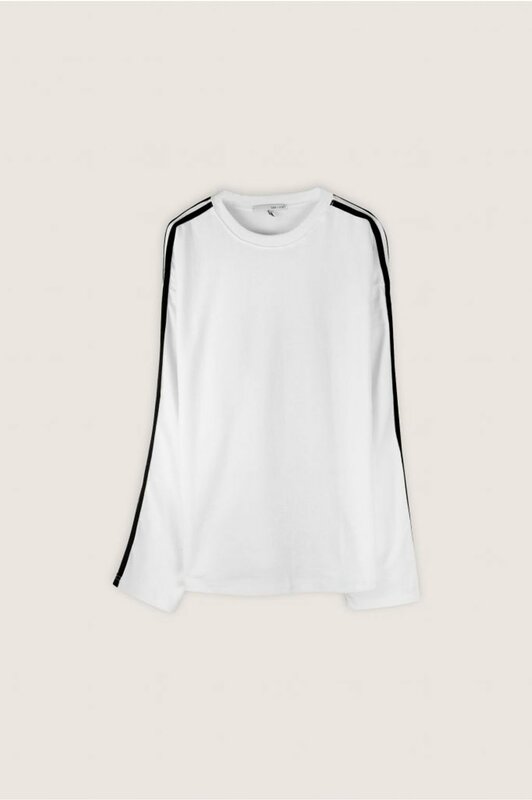 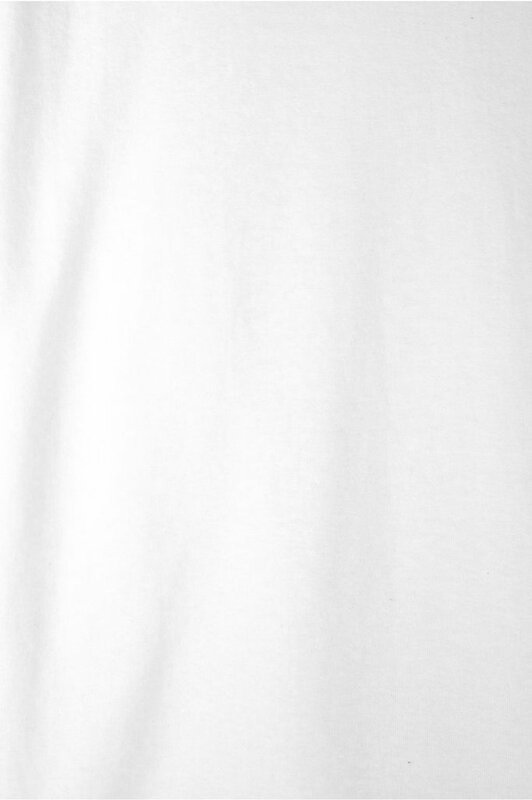 Featuring drop shoulders, a ribbed collar and two black lines running along the sleeves, this tee will be your new everyday favourite. 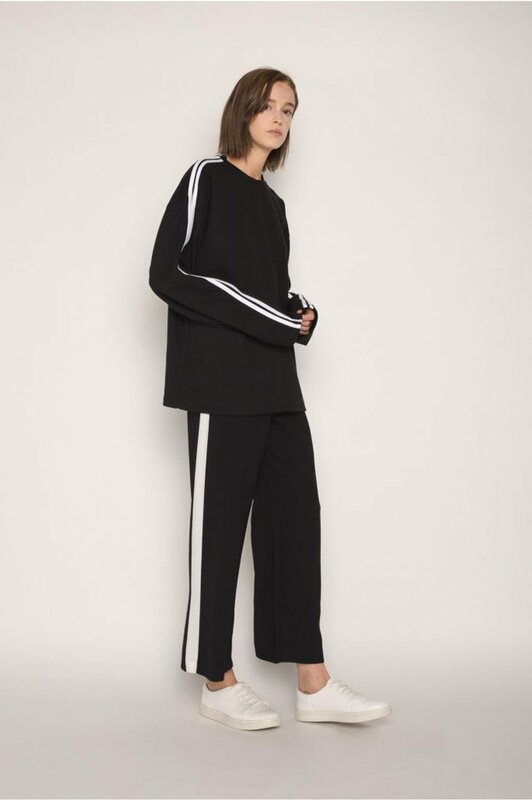 Wear this half tucked in a black mini skirt and finish off with a pair of hoop earrings and sneakers for an edgy yet casual everyday look.